Debt Relief Orders increase after change in criteria, but total personal insolvencies fall overall in 2015. The latest statistics released by the Insolvency Service show that in 2015, the number personal insolvencies was the lowest seen since 2005. The official figures from the Insolvency Service report that there were a total of 79,965 personal insolvencies, the lowest total since 2005. This is a 19% decrease compared to 2014 and was the fifth successive decrease in the annual total. The decrease was mainly driven by a fall in the number of individual voluntary arrangements (IVAs). There were 39,993 IVAs in 2015, which was a 23% decrease on 2014, and the lowest annual total since 2008. This followed increases in the previous two years, which may have been a reflection of companies switching debt management plans to IVAs. IVAs comprised 50% of all individual insolvencies in 2015, compared with 53% in 2014. There were a total of 15,797 bankruptcy orders in 2015, 22% lower than in 2014. The number of bankruptcy orders has now decreased year on year since 2009, and bankruptcy numbers are now at their lowest annual level since 1990. This is due in part to the introduction of debt relief orders (DROs) in 2009. Overall debt relief orders also fell. There were 24,175 DROs in 2015, which was a 9% decrease compared to 2014 and the lowest annual total since they were introduced in 2009. However, on 1 October 2015, changes to bankruptcy and DRO criteria were implemented, which have affected the statistics. The minimum debt a creditor must be owed to petition to make someone bankrupt increased from £750 to £5,000. The criteria for debt relief orders was also changed meaning more people qualified for this debt solution. DROs are now available to people with up to £20,000 debt (up from £15,000) and £1,000 assets (up from £300). The surplus income limit for DROs was unchanged at £50 per month. If we look at the statistics for the final quarter of 2015, since the bankruptcy and DRO criteria changed, there has been a significant increase in the number of debt relief orders. There were a total of 20,404 individual insolvencies in England and Wales in Q4 2015, comprising 3,711 bankruptcies, 6,501 debt relief orders (DROs), and 10,191 individual voluntary arrangements (IVAs). Individual insolvencies increased 3.6% compared to the previous quarter, which was the second consecutive increase in individual insolvencies. The quarter on quarter increase in individual insolvencies was due to the increase in Debt Relief Orders (DROs). In Q4 2015 there were 6,501 DROs, which was 15.5% higher than the previous quarter and 2.8% more than Q4 2014. Of these, 1,629 (25%) were for individuals with debts higher than the previous limit of £15,000. Whilst we have seen an overall reduction in the more severe procedures like bankruptcies and overall the lowest levels of personal insolvency we’ve seen since 2005. This is directly linked to an unprecedented period of low interest rates. There is still an underlying debt problem for a large number of households which is masked by the continued fall in personal insolvency numbers. We recently reported on the research by Aviva which showed many families' finances are finely balanced and the continued availability of cheap credit is leading to households racking up debts on credit cards, overdrafts and personal loans. A record period of low interest rates has meant many borrowers have known nothing but cheap credit. If and when interest rates increase, we are likely to see to see the recent trends in personal insolvencies reversed. Bankruptcy orders – a form of debt relief available for anyone who is unable to pay their debts. Assets owned will vest in a trustee in bankruptcy who will sell them and distribute the proceeds to creditors. Discharge from debts usually takes places 12 months after the bankruptcy order is granted. Debt relief orders (DROs) – a form of debt relief available to those who have a low income, low assets and less than £20,000 of debt (£15,000 before October 2015). There is no distribution to creditors, and discharge from debts takes place 12 months after the DRO is granted. DROs were introduced in April 2009. 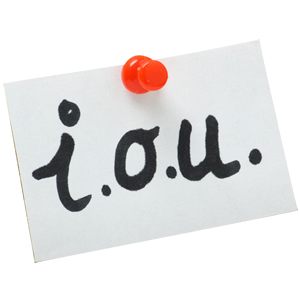 Individual voluntary arrangements (IVAs) – a voluntary means of repaying creditors some or all of what they are owed. Once approved by 75% or more of creditors, the arrangement is binding on all. IVAs are supervised by licensed Insolvency Practitioners. All individuals entering these procedures are listed on the Individual Insolvency Register, and remain on the list until three months after their insolvency ends.